Term 3 starting 9 August 2016. A 2016 LEARNZ virtual field trip - Date changed to 1 week earlier so now 9-11 August. Teachers, how about we host your students on a guided geohazards journey to The Alpine Fault from the safety of your classroom? 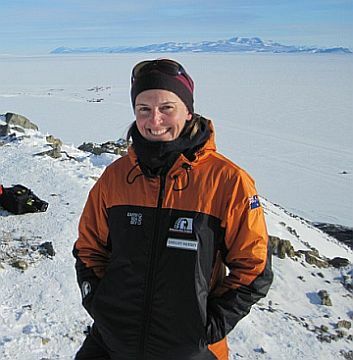 Experts will take your class to remote locations around Franz Josef to help them better understand what causes natural disasters such as tsunami, earthquakes and landslides, and how we can manage the risk. This trip fits well with big ideas like hazards, community, our world, nature, self, New Zealand and personal responsibility. This LEARNZ trip is the eighth in a series on geohazards that have included the Auckland volcanic field, Wellington, Bay of Plenty as well as the Canterbury and Marlborough Earthquakes. Go to more comments from teachers about Geohazards field trips. 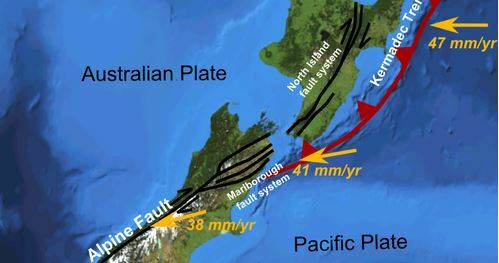 In the South Island of New Zealand, The Alpine Fault is the fastest-moving fault in the world (Read the news item). On average, it produces 8-metre movement from earthquakes every few hundred years. Go to Poerua Valley, where the Alpine Fault is evident, as experts make sense of the evidence from a geohazards perspective. Go to Franz Josef township where humans are potentially at risk from landslides produced by earthquakes generated by the Alpine Fault, which runs through the town. Go to the tongue of Franz Josef glacier, a world-renowned tourist destination and a popular place for scientific research. Note: weather and other factors out of our control may influence activities during the field trip.